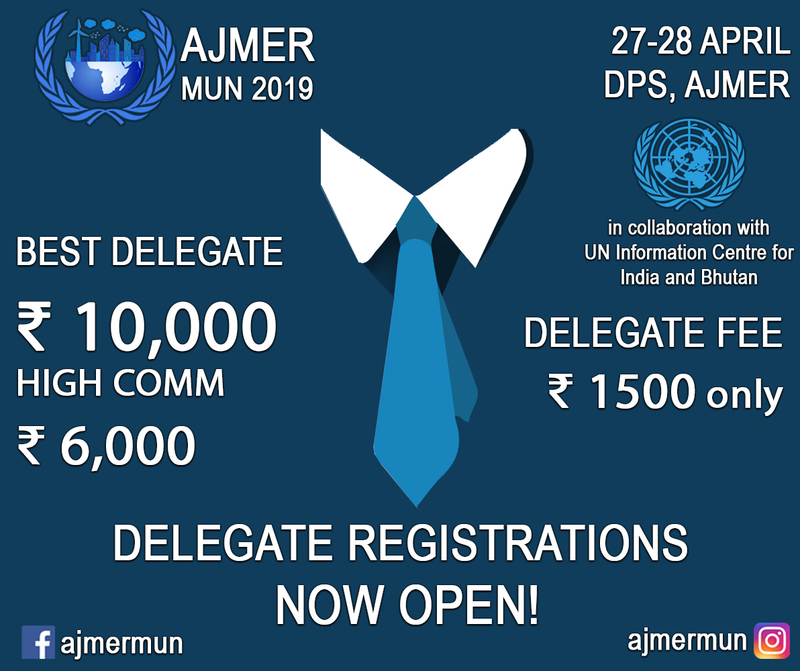 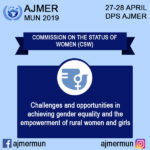 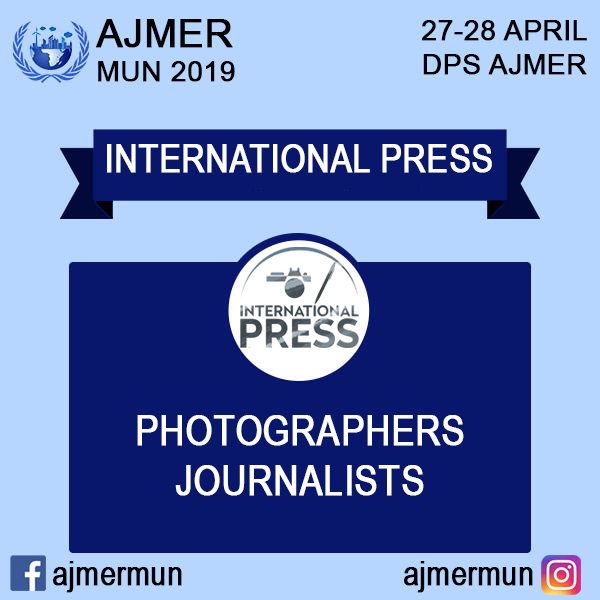 It is indeed a pleasure to inform you that AJMER MUN in collaboration with UN Information Centre of India and Bhutan, working with the concept of academic simulation of United Nations will host its second edition on 27th-28th April 2019 at DPS AJMER. It will give students a golden opportunity to represent a nation or portfolio on the dais and come up with substantial solutions for global issues. 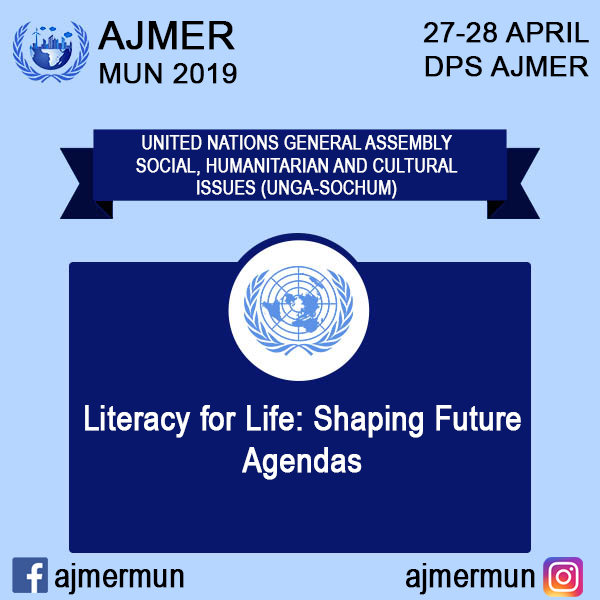 We aim to empower the youth of India by giving them a platform where like-minded brains can come together and make the world a better place to live in. 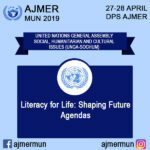 Agenda: Literacy for Life: shaping future agendas. 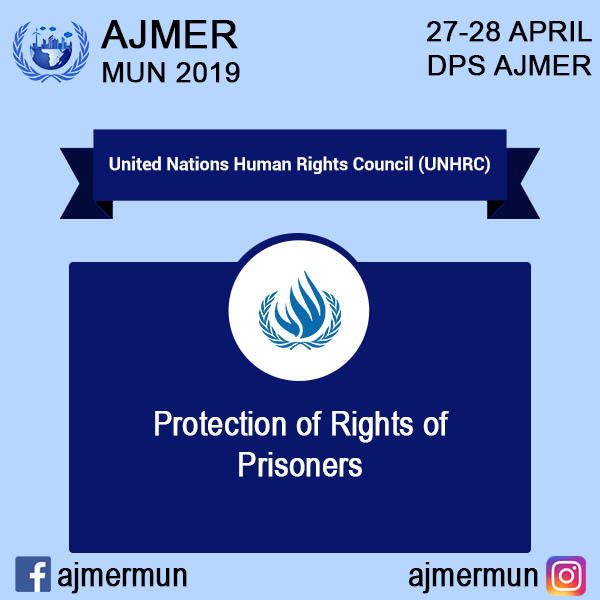 Agenda: Protection of Rights of Prisoners. 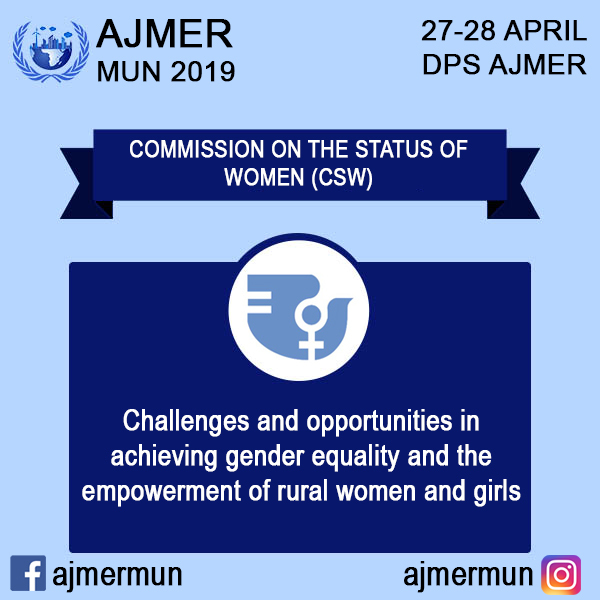 Agenda: Challenges and opportunities in achieving gender equality and the empowerment of rural women and girls. Agenda: Review of New Education Policy. 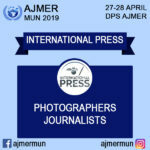 For updates, follow on Facebook and Instagram.